Sartell-St. Stephen’s Jack Hennemann put an exclamation point on a game in Minneapolis that didn’t begin well for him. He committed a penalty in the first period that led to a Minneapolis power-play goal, but he finished with a game-winning goal in overtime to secure a 4-3 victory. The Sabres' senior forward found the opening for a power-play goal with 36.3 seconds left in the extra period. Fellow senior forward Nick Plautz assisted on the goal. “Plautz, 24, he just went hard and got me the puck, and [it was] right spot, right time,” Hennemann said. Hennemann, who passed the 100-point career mark Dec. 8 against Chaska where he also had a game-winning goal, leads the Sabres in points this season with 26 and goals with 12. Going to the metro hasn’t fazed the Sabres, ranked No. 9 in the Class 1A state coaches' poll, where they improved to 2-0 against metro area teams. Minneapolis (7-10-3) took control early with a pair of two goal leads but couldn’t sustain it, going scoreless after the first period. “I just don’t think we played full four periods with the overtime,” sophomore forward Francis Lindgren said. Lindgren got Minneapolis on the board first with a power-play goal following Hennemann’s penalty in the first period. Minneapolis senior forward Tuli Eisenbeis made it 2-0 with an even strength goal less than a minute later. Sabres' freshman forward Hayden Walters scored the first of his two goals to make it 3-1. He struck with again after Minneapolis took a 3-1 lead to trim it to 3-2. Minneapolis junior forward Ben Murray had the team’s third and final goal. That’s despite holding an edge on shots for most of the game. Neither team could get anything going in the second period, but the Sabres quickly tied things up in the third period to force overtime. Plautz found the net 11 seconds into the period. “It was huge for us in this game, just getting the momentum going right in the third,” Hennemann said. Both goalies made plays throughout as Minneapolis senior Tommy Walsh finished with 20 saves and Sabres' junior Devin Peterson had 21. 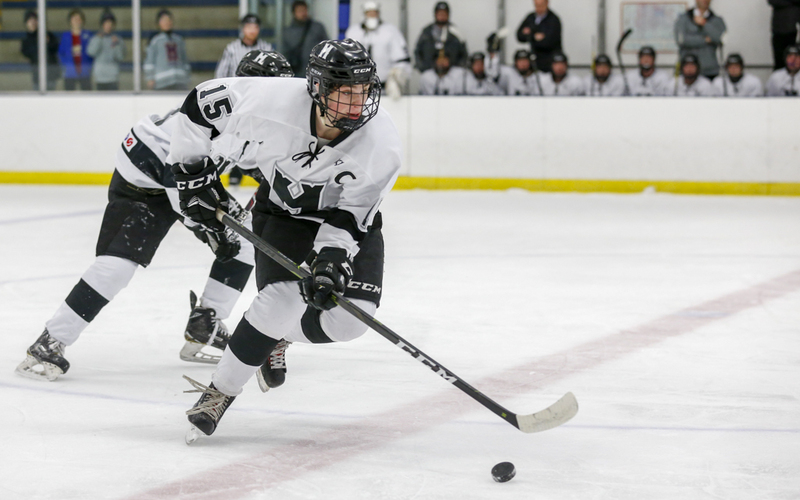 Walsh came into the game looking to bounce back from a loss against Holy Angels Jan. 19, and Peterson looked to win in his first start since Jan. 15. In overtime, the Sabres controlled the puck early but couldn’t create any shots on goal. Minneapolis started to get more puck control but likewise couldn’t find the net. The Sabres had the puck in the Minneapolis zone inside 1:30 to go in the extra period. Minneapolis tried to clear the puck out and committed a tripping penalty in the process, which set up the power play and Hennemann’s game-winner. “We took a bad penalty at the end there,” Murray said. Sartell-St. Stephen, ranked No. 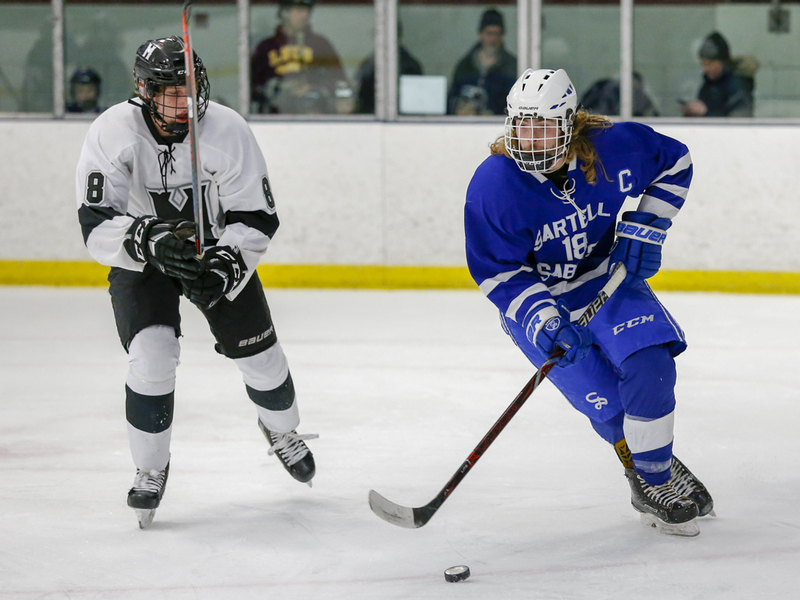 9 in the Class 1A state coaches' poll, rallied from two goals down to beat Minneapolis 4-3 in overtime Thursday at the Parade Ice Garden in Minneapolis. The Sabres (13-5-0, 6-2-0) got a game-winning goal from senior forward Jack Henneman with 36.3 seconds left in overtime. Henneman bounced back from a slow start where his first-period penalty led to a power-play goal by Minneapolis sophomore forward Francis Lindgren. Minneapolis (7-10-3, 1-1-0) couldn’t sustain the two-goal lead it built in the first period. 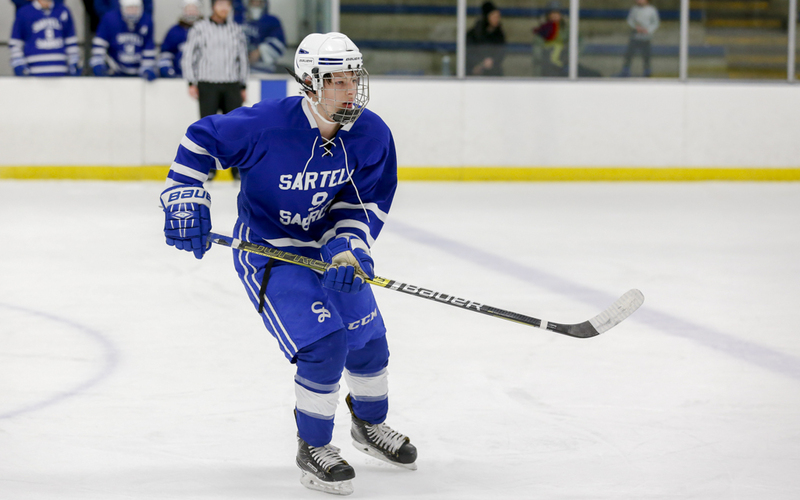 Sartell-St. Stephen scored twice in the first period to make it 3-2 before tying the game 3-3 in the third. Sabres senior forward Nick Plautz scored the third goal to force overtime.